Curaçao was born in 10.10.10 with a potentially lethal birth defect: corruption combined with lies and deceit. We know that not all members of the first cabinet passed the constitutionally required screening. We’ve seen numerous calculated attempts to undermine governance systems and institutions that promote accountability and oversight. And, in 2013 the most popular Curaçao politician, Mr. Helmin Wiels, Member of Parliament (MP) and anticorruption activist, was killed. Unfortunately these events do not come from a Hollywood script. 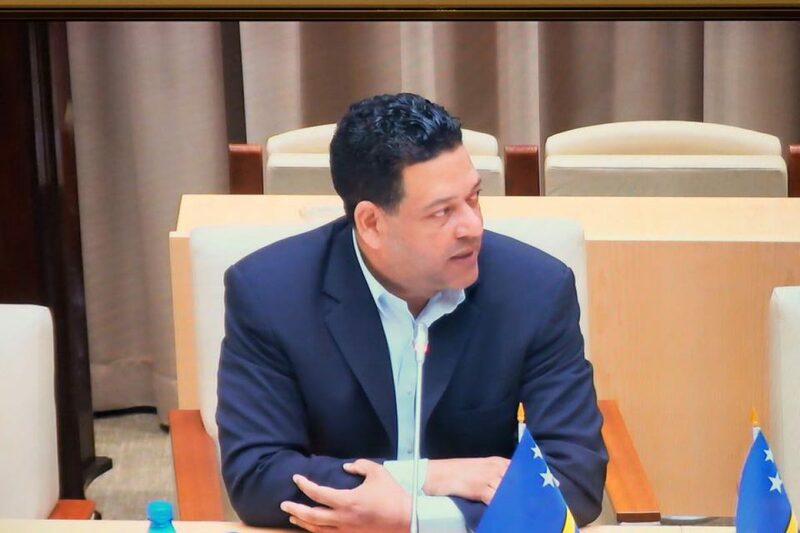 The recent verdict that was upheld by the Supreme Court against Curaçao’s first Prime Minister for among other, bribery, forgery and money laundering confirmed that our young country was on its way to become a mafia state. There’re other cases pending, including the pretrial on 18 December, 2018 against the first Curaçao Minister of Finance related to the murder of Mr. Wiels. To be fair, we’re not the only ones confronted with corruption. There’s corruption almost everywhere, also in The Netherlands, our Kingdom partner. The MPs in The Hague should know that their paternalistic views on corruption in Curaçao are vulnerable to charges of hypocrisy. And, rightfully so. Point is however that the wellbeing of our people is not served by finger-pointing. Not all countries are equally afflicted by corruption. Curaçao with a population of 150,000 and a fragile economy will always be harder hit by corruption than The Netherlands, the 18th largest economy of the world (World Bank, 2014). The question we should ask ourselves is why the Prime Minister of Iceland resigned when he was merely mentioned in the Panama Papers, while our politicians, MPs and other high ranking officials remain in their functions despite overwhelming evidence of irregularities? Why do politicians in New Zealand, Costa Rica, and Estonia voluntarily resign over allegations of wrongdoings? Why do the privileged in some countries go to exotic islands to hide their money while here some openly flaunt lavish houses, cars, and life style worth far more than their declared earnings? Corruption can be controlled according to many experts by good governance, a free press, independence of the judiciary, less red tape, and a transparent tax system. But what should we do when the same government that’s in charge of creating the abovementioned conditions routinely distributes public goods and resources based on favoritism and keeps a system in place which allows ruling elites to flourish pretty much unhindered? The main obstacle to corruption remains the capacity of a country’s own citizens to hold the government accountable. It’s scary to hear people defend corrupt politicians by accusing judges, The Netherlands and white people (the convicted ex-Prime Minister was defended by a white Dutch lawyer). This is why public opinion forced the resignation of the Icelandic prime minister, while the Nicaraguan President, Daniel Ortega Saavedra, and the Cameroonian President, Paul Biya, remain in power despite overwhelming evidence of all kind of wrongdoings. As we approach the International Anti-Corruption Day (9 December, 2018) it’s important to once again realize that corruption distorts the electoral processes, perverts the rule of law, stuns economic development and creates poverty. Most important, let’s realize that we are not powerless bystanders in the fight against corruption. We must use our power of the vote wisely and not vote for parties and candidates who are corrupt. Stop defending the unjustifiable. Through the efforts of our own citizens we can make them change. Next Next post: Bo sa ken ta registrá na bo adrès?